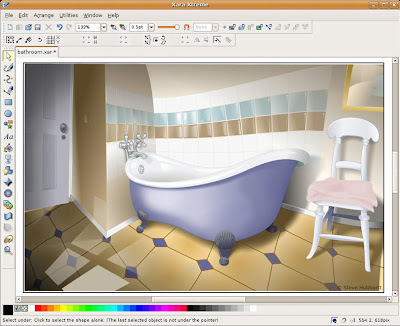 A software application that gives users the ability to compose and edit vector graphics images interactively on a computer is called a vector graphics editor. CorelDRAW and Adobe Illustrator are some of the most popular proprietary vector editors for Windows. 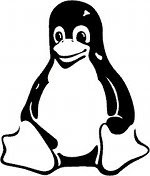 But if you are looking for a capable free alternative that can also work on your Linux box, there are a lot to choose from. 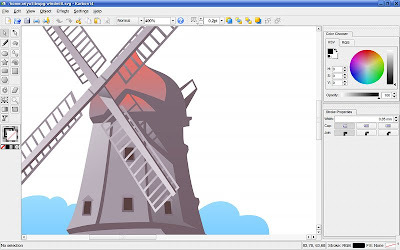 Inkscape is a well-known, full-featured vector graphics editor application for Linux. It has a main goal of becoming a powerful graphics tool while being fully compliant with the XML, SVG, and CSS standards. One of the prime concerns of the Inkscape project is interface consistency and usability. This involves efforts to follow the GNOME Human interface guidelines, universal keyboard accessibility, and convenient on-canvas editing. Inkscape has achieved important advancement in usability since the project started. Xara Xtreme was originally developed for Windows but an open source version was later released for Linux. Xara Xtreme is known for its usability and fast rendering. 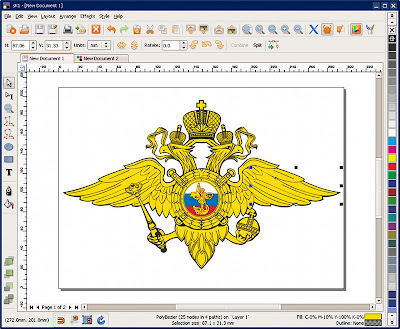 It is also notable for being among the first vector graphics software applications to provide a fully anti-aliased display, advanced gradient fill, and transparency tools, features now common to many vector graphics editors. 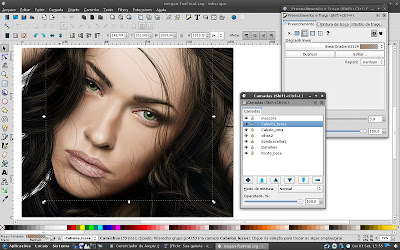 With interface almost identical to that of Inkscape and CorelDRAW, Xara Xtreme is considered to be quite easy to learn. 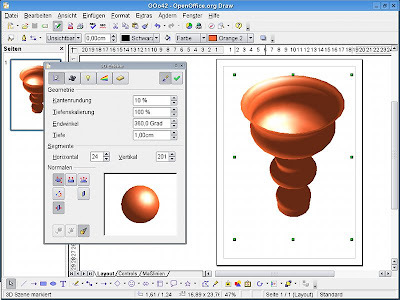 OpenOffice.org Draw is a powerful graphics package that is part of the OpenOffice.org office suite. It features "connectors" between shapes, which are available in a range of line styles and facilitate building drawings such as flowchart. Currently, OpenOffice.org Draw officially supports exporting to SVG format, though with some limitations to be resolved. It is anticipated that as SVG and SVG filters evolve, users will be able to use Draw to edit the large-scale collection of SVG samples from Open Clip Art Library. Skencil is a unique drawing application in the sense that it is implemented almost completely in Python, a very high-level, object oriented, interpreted programming language, with the rest written in C for speed. In addition to the standard features (rectangles, ellipses, curves, text etc.) that you can expect from a vector graphics editor, Skencil also has some more advanced attributes like the possibility to bend text along a path. 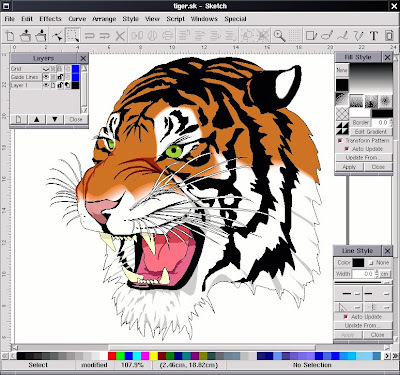 From its project website, sK1 is described as an open-source illustration program that can substitute proprietary software like Corel Draw or Adobe Illustrator. It supports professional publishing features like CMYK color, separations, ICC color management and press-ready PDF output. It also has CorelDRAW formats importers and tabbed multi-document interface. sK1 is a fork of Skencil and was started by a small team of Ukrainian professionals. Karbon14 (formerly known as Kontour) is part of the KDE office suite (KOffice). The name is a play on KDE and the radioactive isotope Carbon-14. Karbon14 boasts a user interface that is easy-to-use, highly customizable and extensible. It is also loaded with great features making it ideal for anyone who wants to create clipart, logos, illustrations or photorealistic vector images. Xfig is an interactive drawing tool that runs under the X Window System. In xfig, figures may be drawn using objects such as circles, boxes, lines, spline curves, text, etc. It is also possible to import images in formats such as GIF, JPEG, EPSF (PostScript), and many others. Xfig saves figures in its native Fig format, but they may be converted into various formats.